CarryMyDog.com says you will have a happy little friend when you let him or her ride with you in the Gen7 Snuggle Pocket™ Pet Booster. Some pets want to curl up and ride. Others have to see out when traveling. Either way, you have it covered with this affordable yet beautiful ride-along seat. Travel with peace of mind. 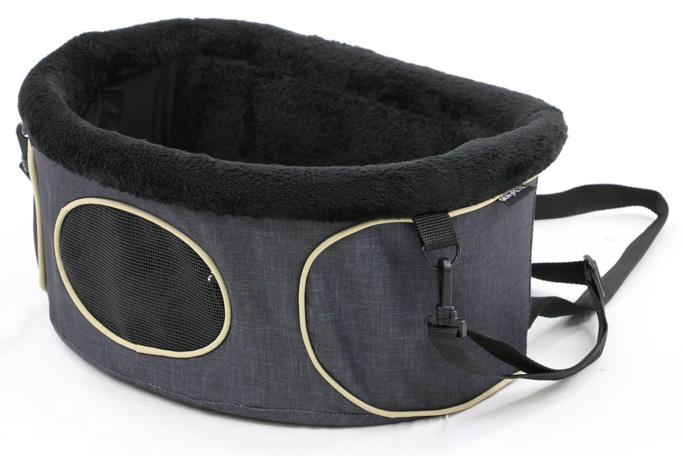 Travel with the Snuggle Pocket™ Pet Booster by Gen7Pets from CarryMyDog.com. We all know that driving with our little ones in our lap is their favorite place to be. Who knows, maybe it's precisely where you want them to be. We all know however that driving with a pet loose in the car is dangerous for both pet and pet owner. 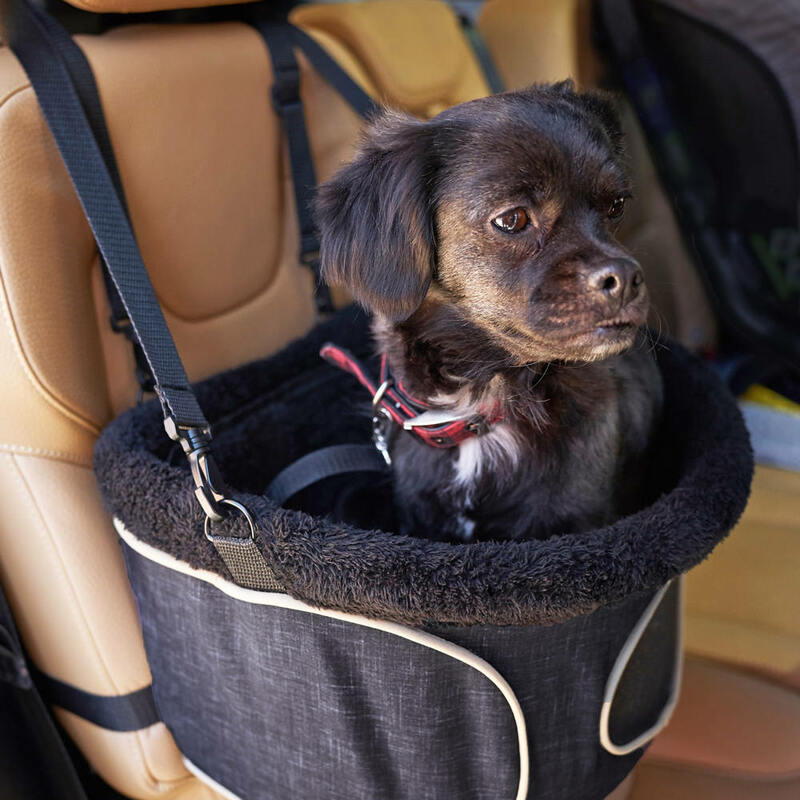 The Gen7Pets Snuggle Pocket provides a place where your dog can rest, relax and cruise all without distraction to the driver. This Snuggle Pocket is Heather Black. This means it will match both your car and your dog. It has a contoured front and two adjustable straps to secure your booster. You can have your Snuggle Pocket ready to go in seconds. 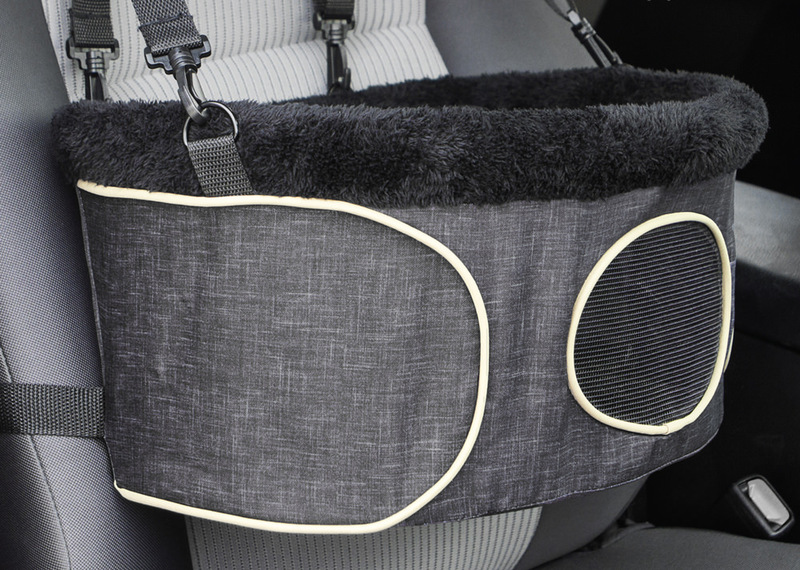 The removable fleece Snuggle insert is machine washable and can be a sleeping mat in a pinch. 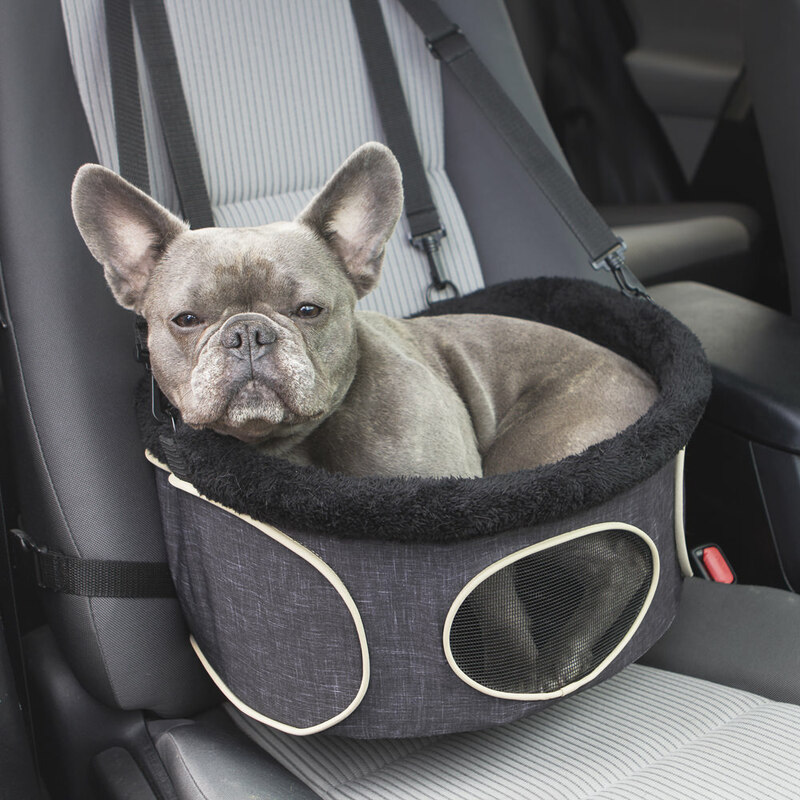 With the adjustable tether, your pets can sit, stand or lay down while traveling. Quick and easy installation is your in either the front or back seat with a headrest. Get airflow and extra visibility from the mesh front window. Two adjustable straps are provided for the best fit and maximum fit and security. Modern rounded shape for a sleek & clean look.